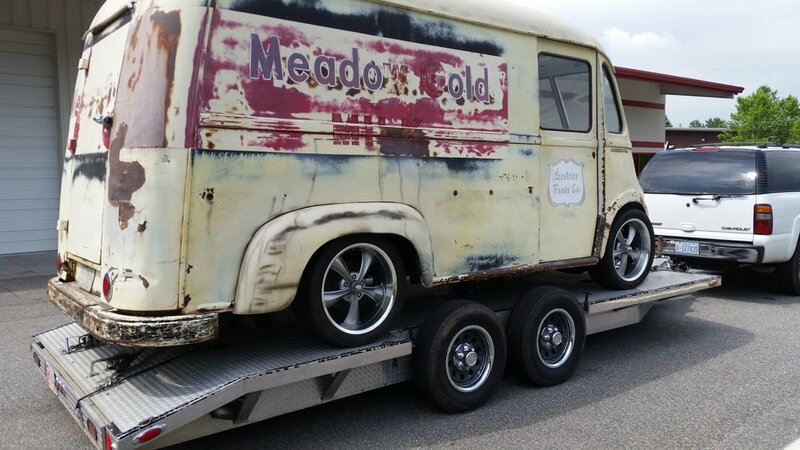 Our friend Dave from D&M Vending bought a 1960 Metro Van he wanted to sell ice cream out of. 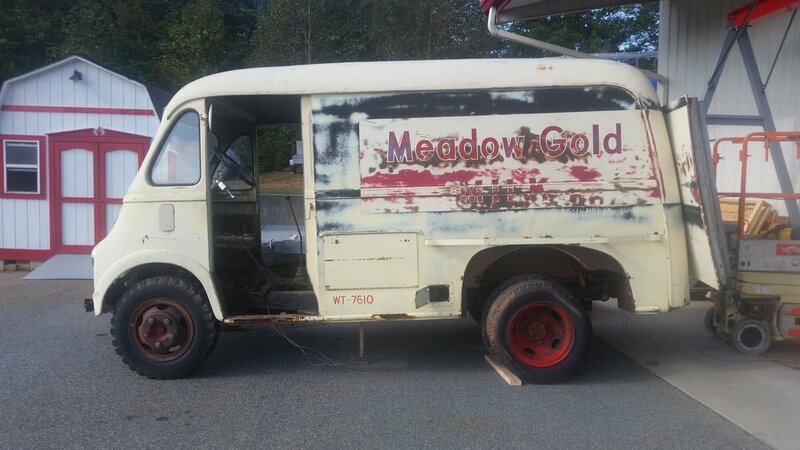 He found one in Ohio and had it shipped to him in Concord, North Carolina. 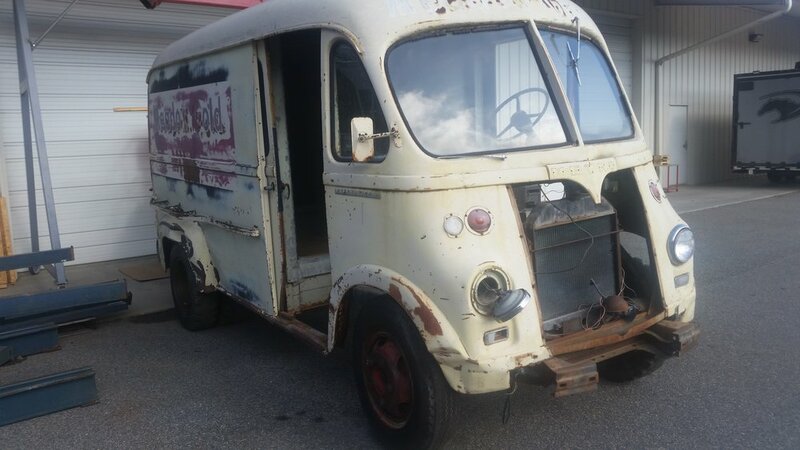 The van he bought had the rustic outer appearance he wanted but he needed the van customized to be a reliable form of transportation for him. 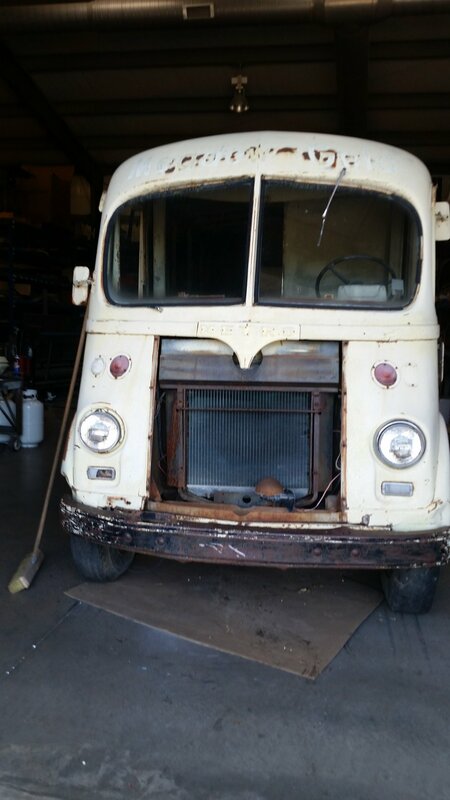 It was going to be a mobile hot rod food truck. Once we got the Metro here, Uwe and Kent got to work. 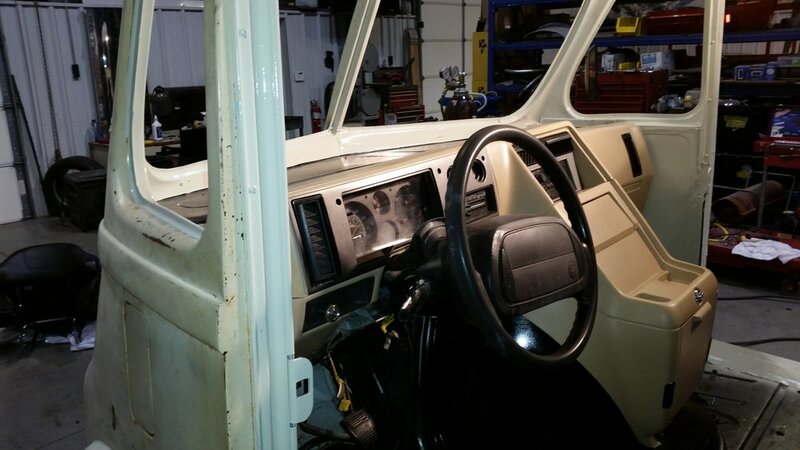 They found a 1995 GMC work van to be the chassis, motor and transmission to provide a much more modern feeling drive and handling. 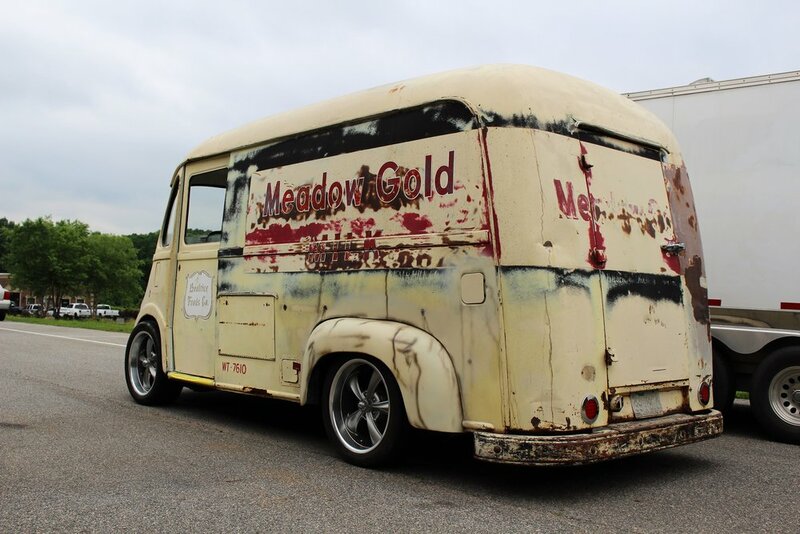 They began by removing all the interior panels and insulation from the original Metro body. They then prepped and removed the body from the GMC. 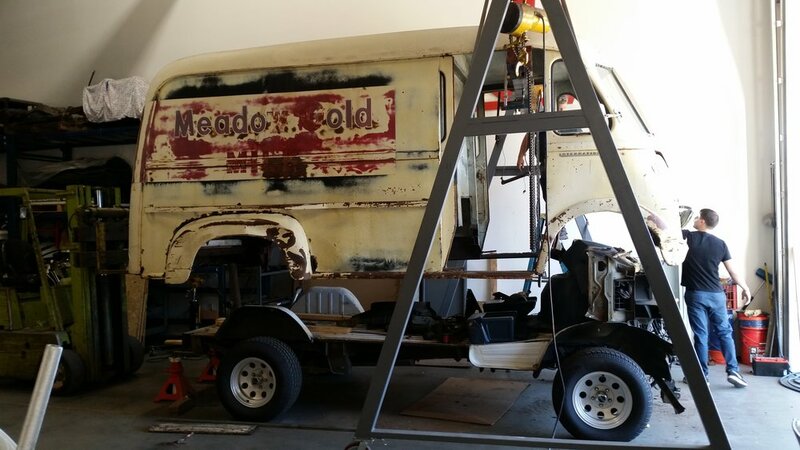 After a LOT of cutting and fitting they were able to install the Metro van body onto the new chassis. 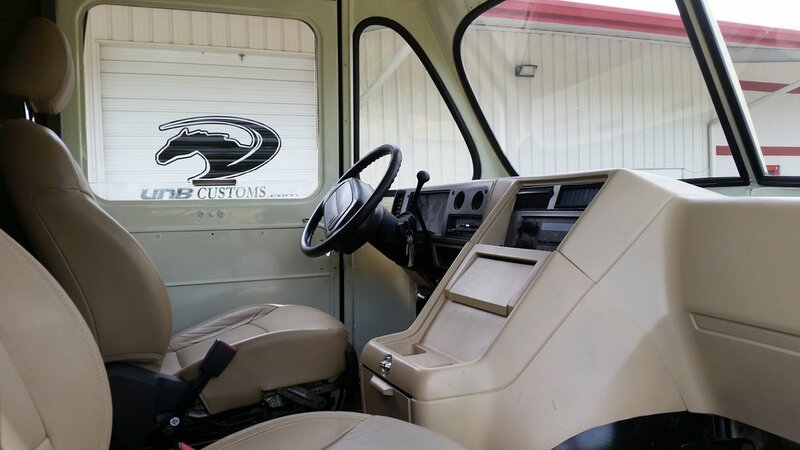 Other customization’s include fabricating mounts for new bumpers (and straightening / painting of those bumpers), LED lights, head lights, new wheels, wheel spacers and fitment, remote brake booster, custom fitment of the van’s A/C unit, ball joint renewals and brand new glass. The seats required new mounts to be custom fabricated. 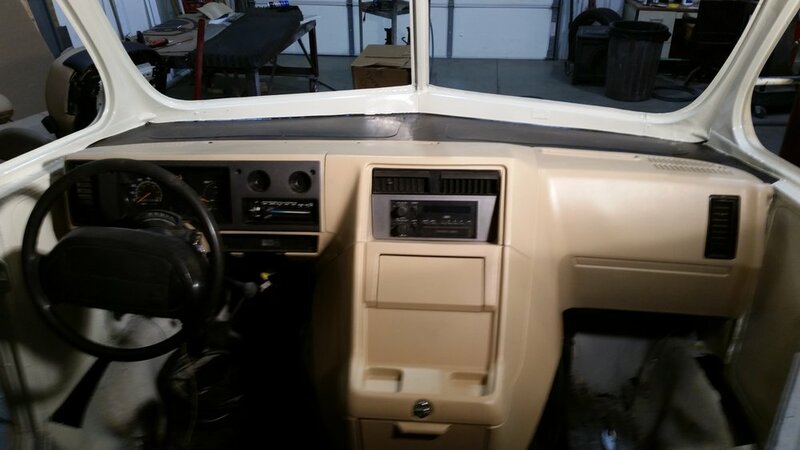 The dash and windshield area was prepped and painted to give it a fresh look. The van seats, dash and console lined up nicely for a comfortable seating and driving experience. 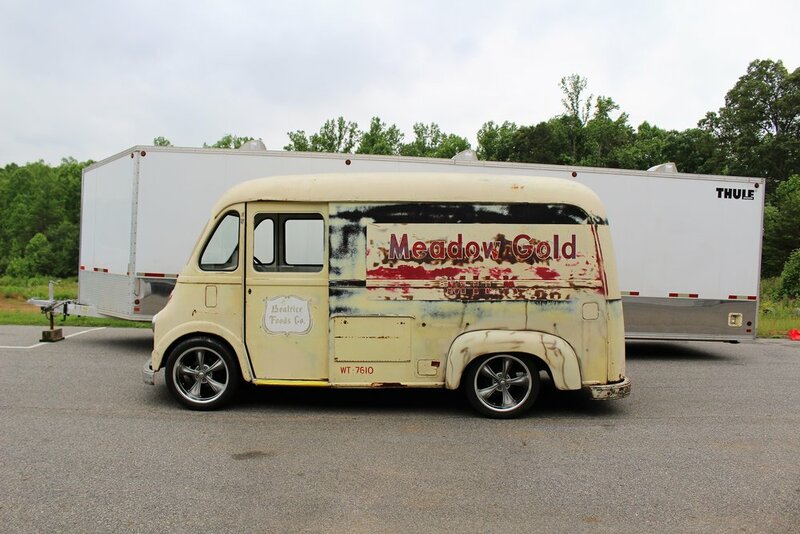 After a lot of hard work Dave’s custom hot rod food truck Metro Van project came out amazing! Here are some pictures of the finished project. You can find him driving it around here in Concord North Carolina or at a car show!